Honda models boast innovation, and the Honda Clarity Plug-in Hybrid is no different. This model allows you to plug your vehicle in to charge it or take it to a traditional fueling station and fill it with gas. With this plug-in hybrid features, you can stop visiting the gas station altogether and charge your vehicle anywhere, whether you’re at home or on the go. Plus, this model delivers space for five and comes with an available tax credit, so feel free to reap the benefits today. 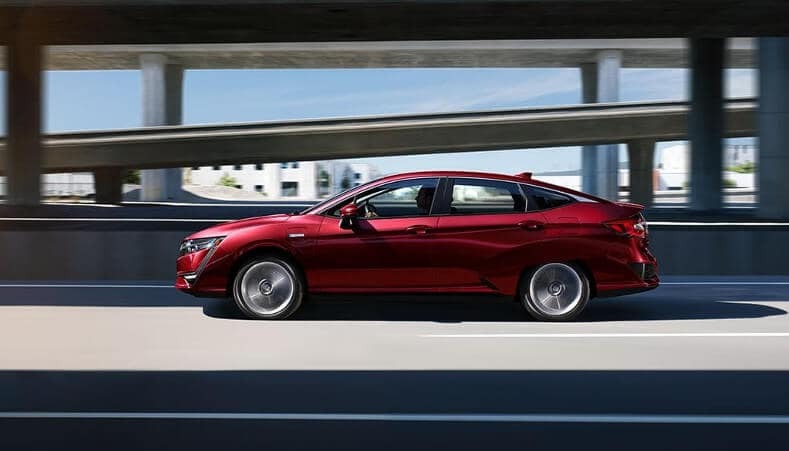 Aside from having impressive fuel efficiency and eco-friendly benefits, the Honda Clarity comes with design and style functionalities you’ll enjoy. As the Honda Clarity moves through Goshen, you’ll want to ensure everyone around the model takes a good look at the innovation under the hood. Having an economical vehicle makes sense for your Monroe and Monticello drives, and the Honda Clarity is a solid model to meet those needs. Additionally, there are several benefits to choosing a hybrid or electric car. Choose your Clarity, or another hybrid model, at Middletown Honda, located at 520 Rte 211 E in Middletown, NY. If you want to find out more about the specific model trending or our Honda lease deals, contact us at (855) 473-3050.